By Jessica Kim Cohen, Becker’s Hospital Review. The shift to the cloud is a growing trend across industries. The cloud, touted as a measure to reduce costs and improve scalability, describes a network of servers that house data remotely, which gives a user the ability to access data over the internet as opposed to only on a local network. IT spending related to the cloud shift is expected to account for $1 trillion across the globe by 2020, according to a Gartner report. Boston-based Massachusetts General Hospital is one organization making the shift to the cloud, according to Trinity Urban, product manager for Precision Imaging Metrics, an informatics program within the hospital’s radiology department. The program houses radiology images for clinical trials associated with the Dana-Farber/Harvard Cancer Center in Boston. Precision Imaging Metrics initially developed a software application to manage the images using an on-premises data center. However, this process left something to be desired for radiologists using the data, since the local data center meant they could only access the images while on the hospital network. “Oftentimes these clinical trials are done outside of their clinical responsibilities,” Ms. Urban explained during a Microsoft-sponsored executive roundtable Sept. 22 at the Becker’s Hospital Review 3rd Annual Health IT + Revenue Cycle Conference in Chicago. “So they’d like to be able to read from home … and they couldn’t do that.” To provide radiologists with this flexibility, Precision Imaging Metrics opted to move its system to a platform developed by medical image management provider NucleusHealth and hosted on Azure, Microsoft’s cloud computing service. “The cost of IT is just growing and growing,” said Chris Hafey, chief technology officer of NucleusHealth, regarding the healthcare industry’s recent interest in cloud imaging. “Building another data center versus moving to the cloud is a big question a lot of people are running into.” At the roundtable, healthcare industry experts weighed in on opportunities and concerns they’ve identified when considering whether to move their medical images to a cloud environment. Here are three challenges — and opportunities — they shared. Image quality. Healthcare providers, particularly those from remote areas, spoke to challenges with limited access to broadband. “As far as bandwidth, we’re in a rural area,” said the CIO and chief innovation officer of a two-hospital health system on the West Coast, adding some physicians might not have easy access to the internet bandwidth necessary to download and view a high-resolution image. The CIO of a 627-bed hospital on the East Coast shared a similar concern about quality. Information security. 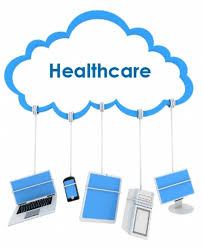 Increasing vulnerability to data breaches proved another major reason healthcare executives said their organizations were reserved about moving to the cloud. “[The health system] is very reluctant to go to cloud-based because of the security,” the East Coast hospital CIO said. Another CIO, from a five-hospital health system in New England, questioned how a cloud-based platform would perform after a hospital was hit by a cyberattack, regardless of the infection vector. “One of the first things you do in a cyber event is shut down the internet,” he said, noting on-premise image storage might prove crucial during these types of disaster recovery measures. Mr. Hafey emphasized cloud-based and on-premise data centers each have pluses and minuses. Although a cloud-based platform might prove challenging when a healthcare facility goes offline, an on-premise data center is vulnerable to physical damage during natural disasters, such as a hurricane. Data sharing. The CIO of a community hospital in the Midwest shared his organization’s No. 1 concern: data transfer. “We really view ourselves as a gateway to health,” he said. “So that’s our biggest issue, the portability [of information] to that referring physician or referring clinic. To say, ‘Hey, we’re sending this patient to you, here’s the study, the whole medical record, et cetera.’” For Mass General’s Ms. Urban, this need to share data with different providers was a major motivator behind the Precision Imaging Metrics program’s decision to develop a new workflow management system. “Before our software was in use we had a lot of emails going back and forth,” she explained. “The coordinators would be emailing the individual radiologists, and they’d have to confirm, and there might be some questions back and forth between the radiologists,” she added.